Weight gain in menopause: Why does it happen, and what can you do? 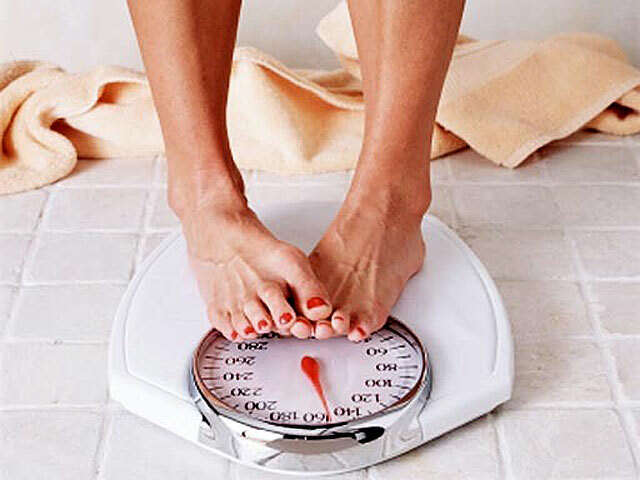 All too often the "change of life" results in unwelcome changes in the number on the bathroom scale. Many women find that no matter how sensible their diet or how frequently they exercise, they still start packing on the pounds once menopause begins. This problem is primarily driven by estrogen loss that occurs during menopause. Estrogen loss causes a number of health issues, one of which is deterioration of muscle mass. Because muscle burns more calories than fat, less muscle also means fewer calories burned, all of which adds up to a recipe for a slower metabolism. Speaking with CBS News chief medical correspondent Dr. Jon LaPook, Dr. Lori Warren, a gynecologist and a partner with Women First of Louisville, said weight gain is one of the top complaints among her patients. "As a gynecologist one of the biggest things I'm asked is, 'What is going on with this weight gain as I'm aging and going through menopause,'" she said. "And it kind of creeps up on women and all of the sudden they're angry about it when they come in for an annual visit and they've gained 10 pounds and they say, 'Why didn't anyone tell me that I might gain weight?'" Sudden weight gain is not only frustrating; it can have a long-term, detrimental effect on a woman's health. Menopausal weight gain tends to be isolated to the mid-region of the body -- known to many as a "muffin top." Belly fat isn't just unattractive. It also increases risk for a number of serious health problems, including diabetes, heart attack and stroke. Warren, who is also the founder of passthepearls.org -- a non-profit organization that educates about women's health and gynecologic surgery options -- says first and foremost, it's crucial to take a close look at your diet. "The most potent medicine we can put in our mouths is the food we eat. You have to eat the right food," she said. Women need to understand that eating and exercising the same way they have in the past may not be good enough as they age. Warren recommend cutting down on bread and other carbohydrates, and eating foods that are low on the glycemic index, which is a system that ranks foods from 1 to 100 based on the effect they have on blood sugar. And of course, be aware of portion control. Studies have found moderate diet modification efforts can also make a difference when it comes to other common complaints during menopause. One study of 17,473 post-menopausal women, published in the journal Menopause, examined how diet impacts woman's health in midlife. The women enrolled in the trial were randomly assigned to either a control group or required to eat a diet rich in fruits, vegetables and whole grains. A year later, the researchers found not only did the women on the healthier diet lose weight, they also experienced fewer hot flashes than women in the control group. But Warren said it's not just about choosing the right foods and knowing when to put down the fork. Staying trim later in life also requires more frequent and consistent exercise. "My prescription for every patient who leaves my office is you have to walk 30 minutes a day. That's the minimum," she told LaPook. "If you really want to keep your weight the same and not gain weight in your waistline, you have to increase your heart rate somehow -- whether that's a cycle class or aerobics of some kind or Zumba -- whatever you like to do. But you have to really get a sweat, you have to move your heart rate up."